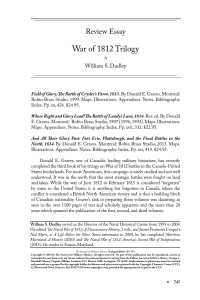 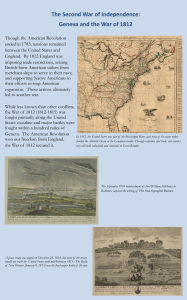 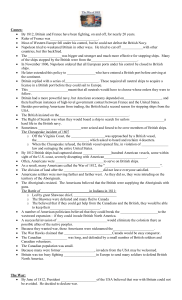 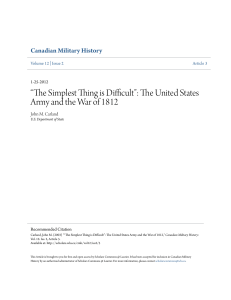 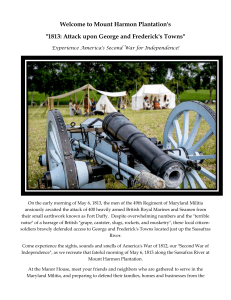 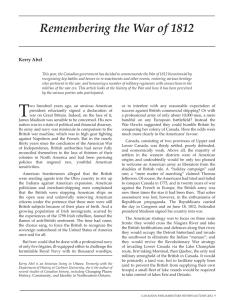 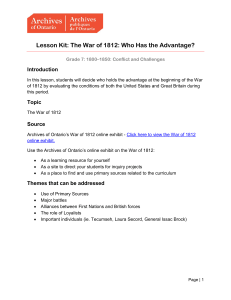 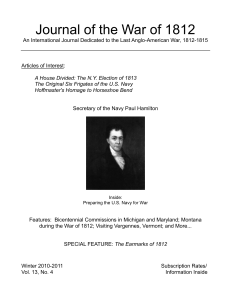 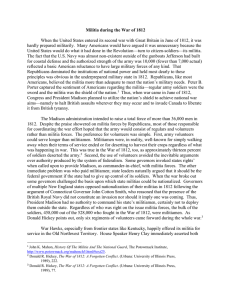 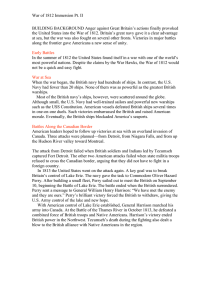 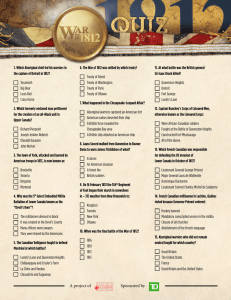 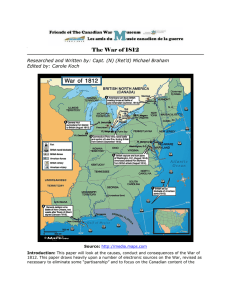 Lesson Kit: The War of 1812: Who Has the Advantage? 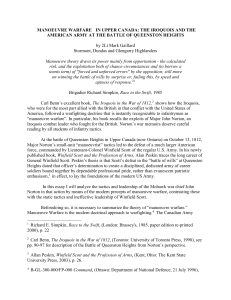 The Battle of Queenston Heights was the first major battle in the War of 1812 and resulted in a British victory. 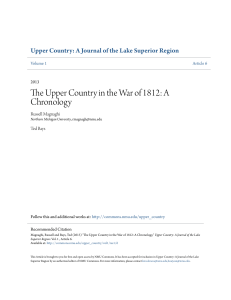 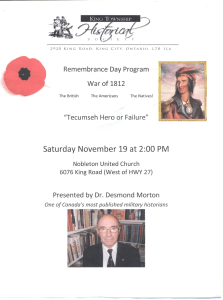 It took place on 13 October 1812, near Queenston, in the present-day province of Ontario. 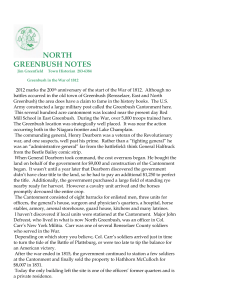 It was fought between United States regulars and New York militia forces led by Major General Stephen Van Rensselaer, and British regulars, York volunteers and Mohawks led by Major General Isaac Brock, and Major General Roger Hale Sheaffe, who took command when Brock was killed.The battle was fought as the result of an American attempt to establish a foothold on the Canadian side of the Niagara River before campaigning ended with the onset of winter. 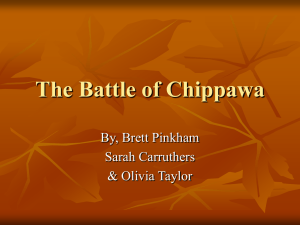 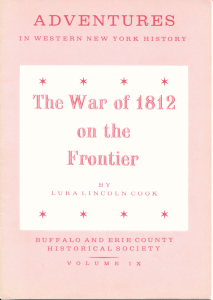 This decisive battle was the culmination of a poorly managed American offensive and may be most historically significant for the loss of the British commander.Despite their numerical advantage and the wide dispersal of British forces defending against their invasion attempt, the Americans, who were stationed in Lewiston, New York, were unable to get the bulk of their invasion force across the Niagara River due to the work of British artillery and reluctance on the part of the undertrained and inexperienced American militia. 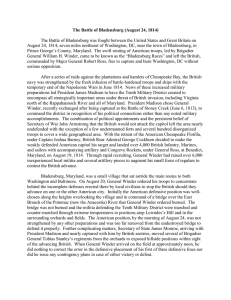 As a result, British reinforcements arrived and defeated the unsupported American forces, forcing them to surrender.